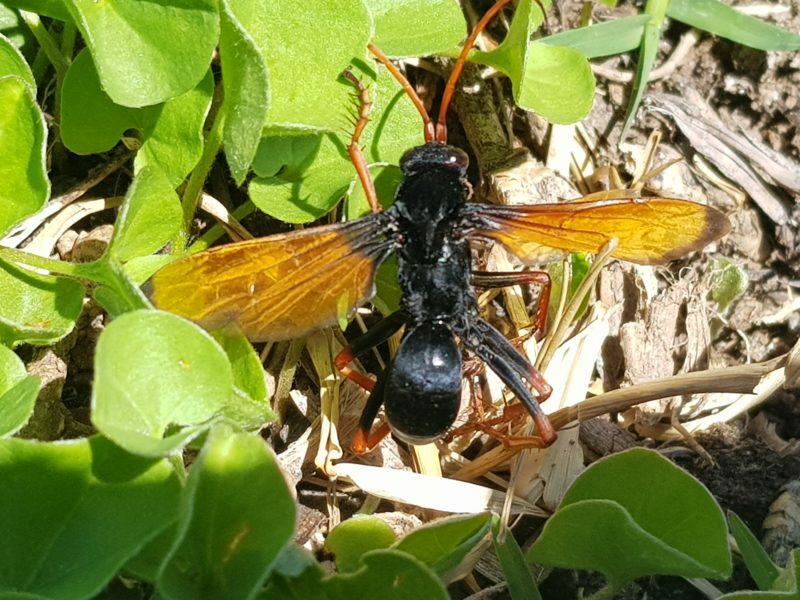 Spider-hunting wasp with large, black body, red antennae and red legs. Wings also red with dark tip and black base. Spotted it running across the lawn.